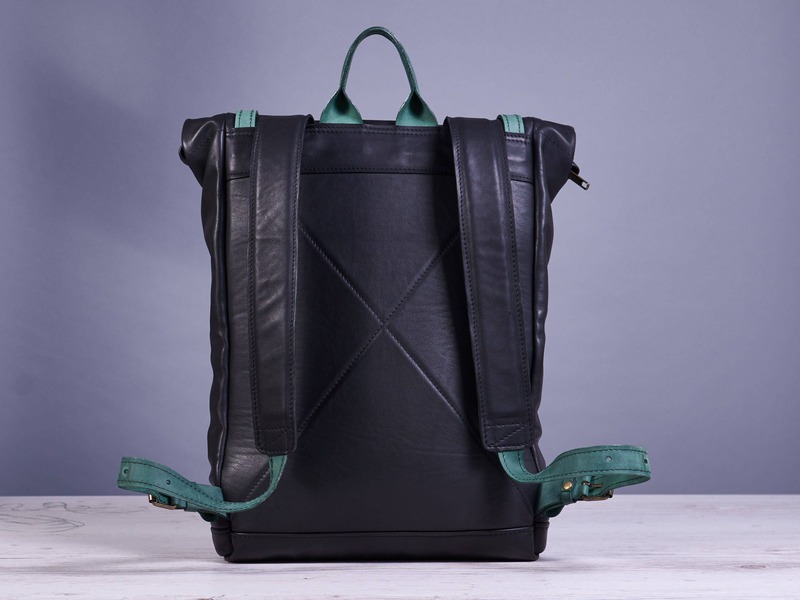 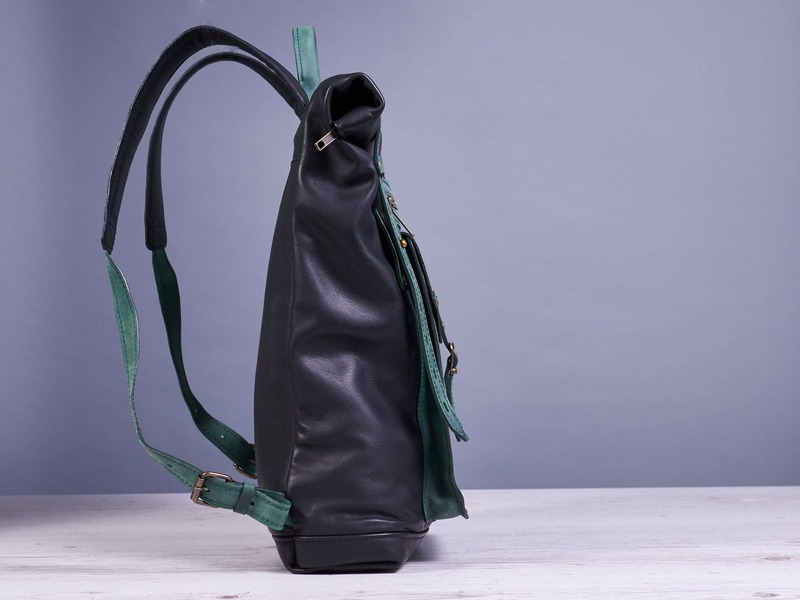 Black and green roll top leather backpack. 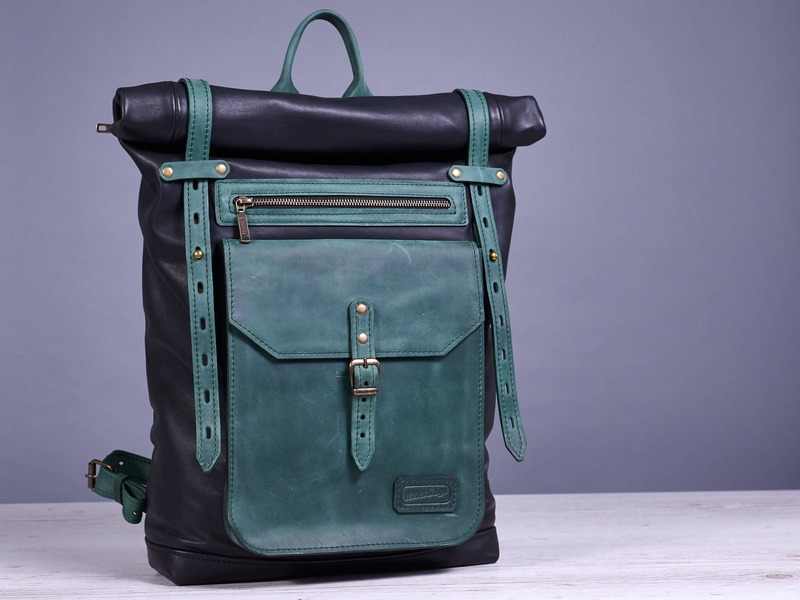 Beautiful and unique black leather backpack for daily use. 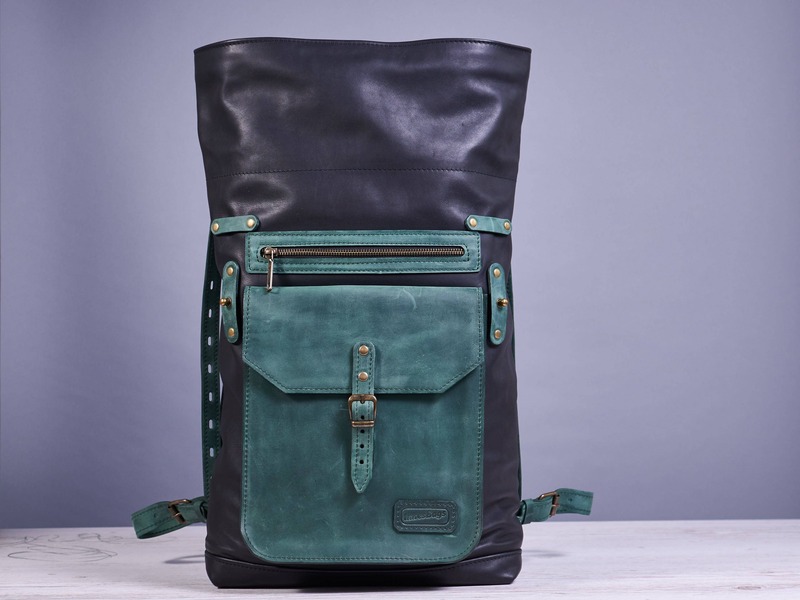 Made of two types of a leather. 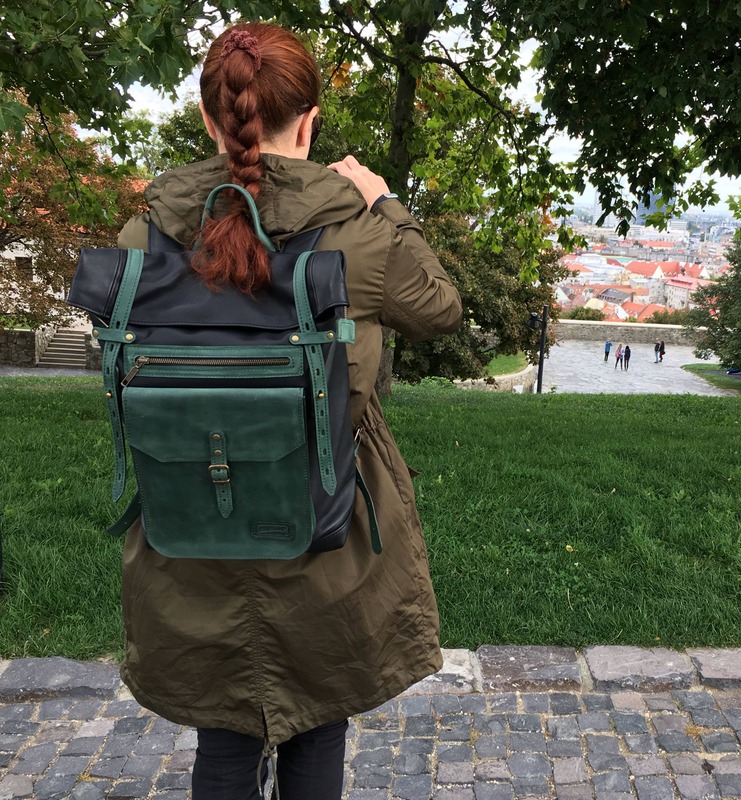 Can be used as roll-top or fold over backpack. 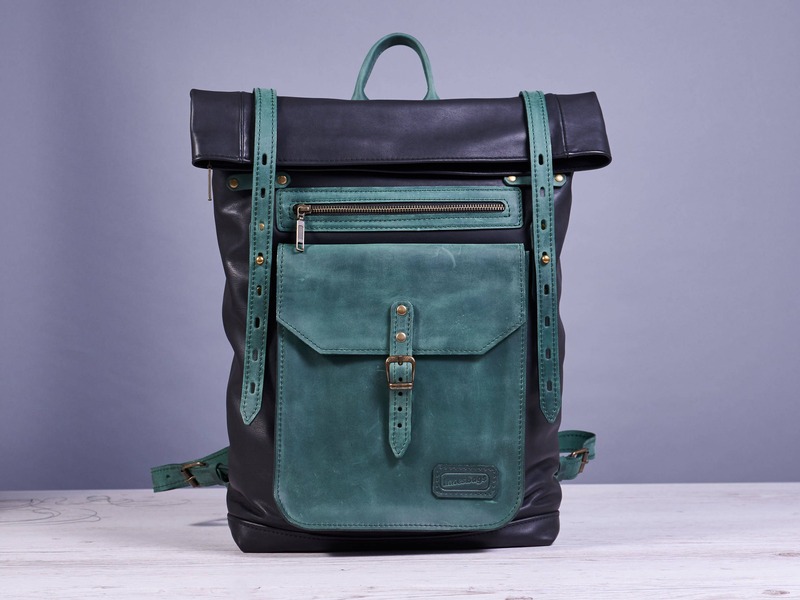 Backpack body - thick, but soft natural leather. 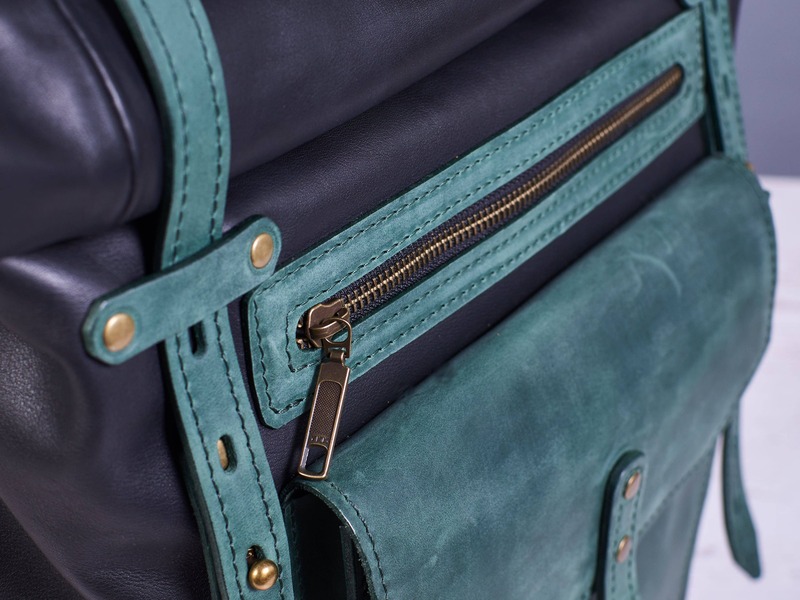 Pocket, closure, straps, and small details are thick distressed leather. 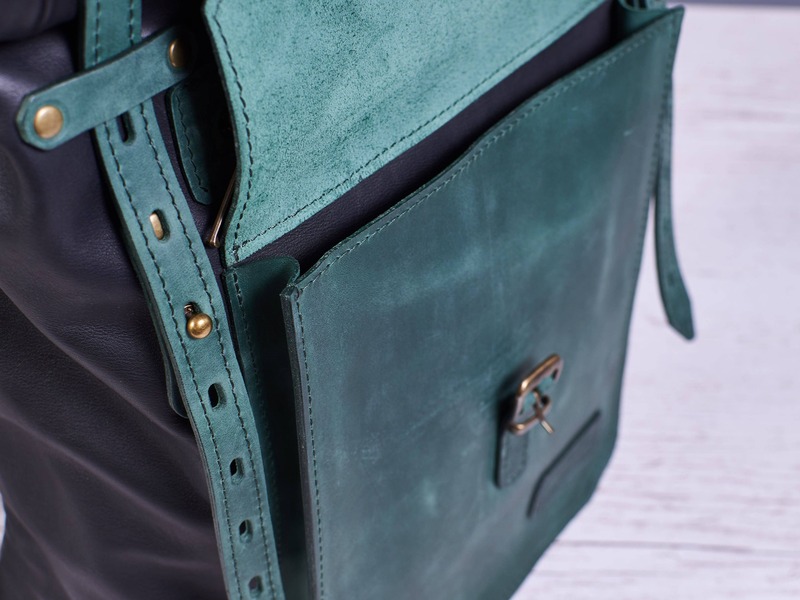 There are also secure zippered pocket for keys, cards etc.